Have you ever wondered what all the Heil® Gas Furnace model numbers mean? Do they stand for anything or are they just a random set of numbers and letters? Believe it or not, the model number of each Heil Gas Furnace reveals a great deal about the furnace it identifies. And now it’s easier than ever to master that nomenclature. 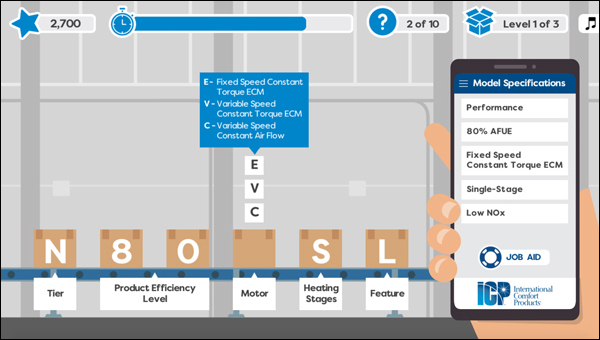 The team at Heil is excited to announce a fun, new module now available on My Learning Center: ICP Gas Furnace Nomenclature. What’s so great about this new training module? 1. The course is delivered in a fun, interactive video game format. You likely see these model numbers daily, but maybe you’re still wondering what they mean. Or maybe you’re new to our products and are not familiar with our nomenclature yet. Or maybe you’re a pro and know the product line inside and out. Whichever category you fall into, this game allows you to put your nomenclature knowledge to the test! 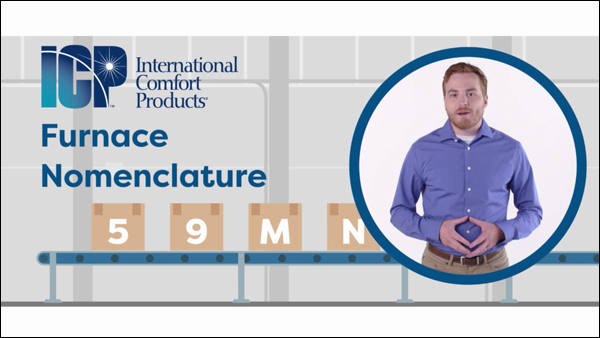 The module begins by explaining the meaning of each character in the gas furnace model number. Then the fun begins with an interactive game where you fill orders. Score points for speed and accuracy! How Do I Access the Nomenclature Game? 2. Click Courses on the left-hand side. 3. Search “Nomenclature” in the search bar. My Learning Center is an easy way to learn more about the latest Heil products, programs, sales, customer service and marketing tips on your home or office computer, at a time that's convenient for you.